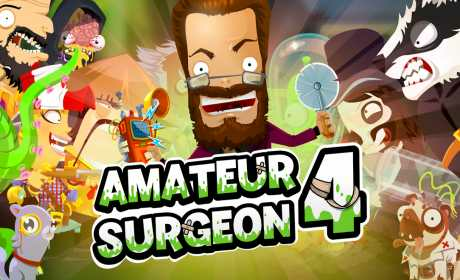 Perform Surgery on over 100 patients with household tools in Amateur Surgeon: Regenerations! It’s time to grab your trusty pizza cutter, and start the operation! 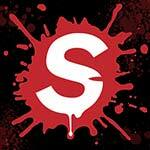 Doctor Bleed, pioneer of amateur surgery, is back from the dead. Help him solve the mystery of his sudden resurrection as he spans the globe looking for answers, and saves some unwitting lives along the way. * Play doctor with more than 100 patients to cut open & operate on! * Operate on Eyes, Brains, Hearts, Lungs, Robots, Bears, Giant Squids…and more! * Recruit more than 30 partners with unique and weird special abilities! * Take on Field Hospital survival mode with high speed surgery! 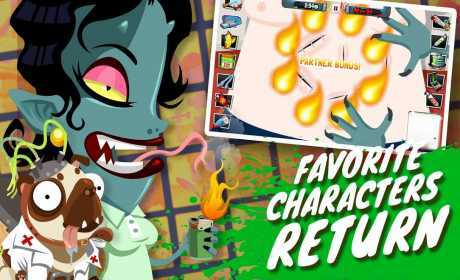 * Compete against your friends for high scores and achievements! Take on classic levels from Amateur Surgeon 1-3, remastered and retooled, along with all new operations and a unique story. Discover more about the history of Alan Probe & Doctor Bleed & the “Bleed Everywhere” Hospital Chain and team up with old and new friends, including a Badger who’s a dab hand at heart surgery and a Dog who is knows a thing or two about healing cuts. 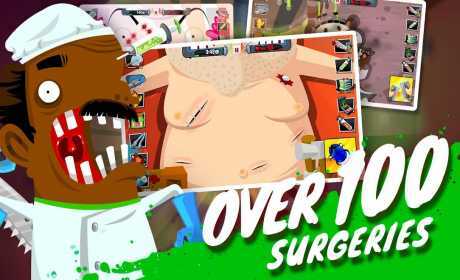 The original surgery simulation game is back, with more weird and wonderful patients, operations and blood!